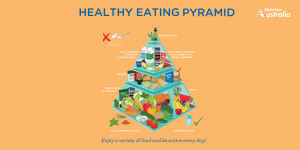 Nutrition Australia have just released the latest Healthy Eating Pyramid – and it’s looking good. 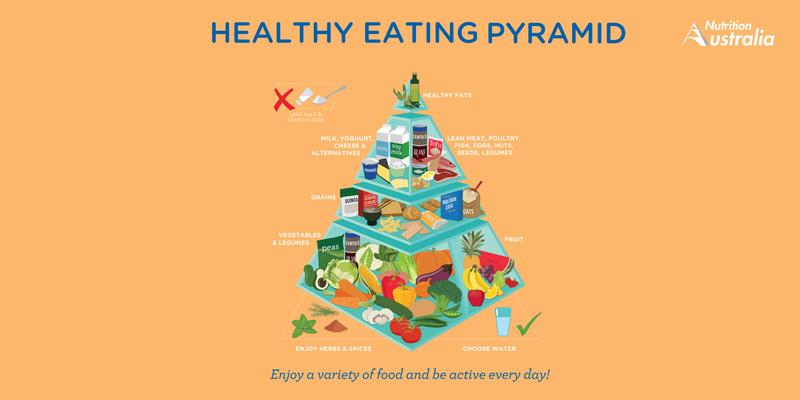 The Healthy Eating Pyramid is designed to provide a simple, visual guide to the types and proportions of foods we should eat every day for good health. 1. The bottom of the pyramid is now made up of just vegetables, legumes and fruit, showing that the majority of our diet should be made up of these foods. Dietary guidelines in Australia are often criticised as being unhelpful or ineffective. However, the statistics show that an average of 35% of our daily kilojoules come from foods which aren’t even on this pyramid (i.e. junk food) which raises the question, how many people are actually following them? We can’t genuinely claim something is ineffective if we haven’t actually tried it….